Whether you’re installing a new garage door or updating your existing one, routine maintenance is crucial in preventing garage door related injuries. Each year over 30,000 injuries occur by accidents related to garage doors, with a resounding number of them involving children. Keeping scheduled maintenance on your garage doors can help mitigate these injuries to ensure your door is up to code and functioning properly. In 1993, it was mandated that all automatic garage doors have an automatic shut-off system installed, but the Consumer Product Safety Commission found that 40 percent of these safety systems failed to function properly, and doors with a failed automatic reversal feature were heavy enough to crush a small child. While technology is evolving, it is important to teach children that garage doors are not toys, and proper safety etiquette around them should be taught. The most common garage door injuries occur when children and adults get their fingers or other appendages caught in garage door joints. Injuries can result in amputations and tearing and crushing of appendages. The second most common injury is seen from a falling garage door. This can cause bruising, concussions, brain damage, and even death if a person is trapped beneath the door. Educate your child – if your child is armed with the information that a garage door and a garage door opener are not toys, this may help prevent accidents. 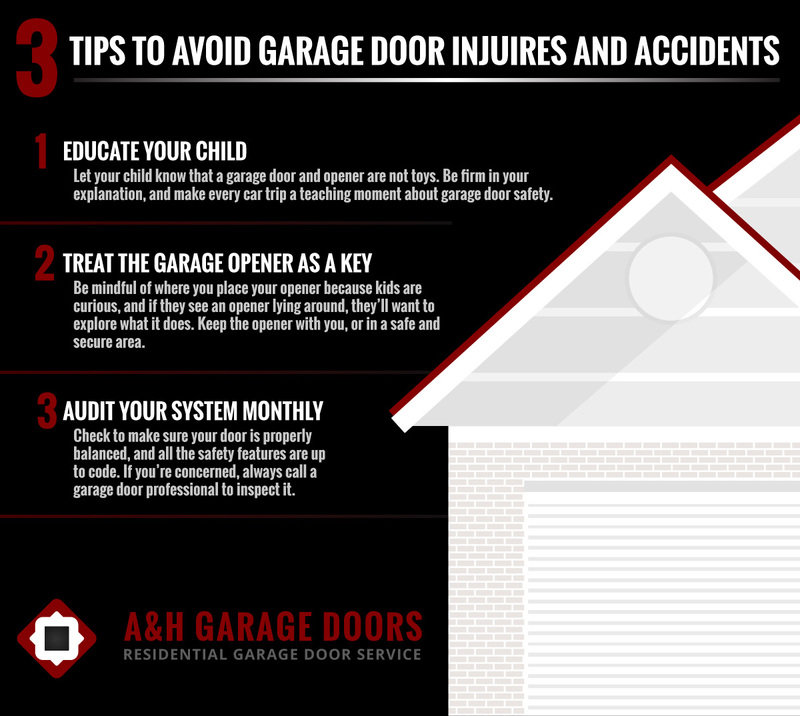 Walk your child through how a garage door and opener function, and be firm on why and how accidents occur. Make every trip a learning opportunity to explain what’s happening with a garage door. If you have small children, consider installing the push button wall control up as high as possible to restrict access from your child. Treat the garage opener as a key – Kids are curious about the world around them, so if they see an opener lying around, they’ll want to explore what it does. Be mindful of your opener just like you are with car or house keys. Don’t leave them around for your child to access; keep the opener with you, or in a safe and secure area. Audit your system monthly – A door is properly functioning when it’s balanced and stays in place where it is stopped. If your door is unbalanced, this could lead to it crashing to the ground and causing severe injuries. Test your reversal system by placing an object underneath the door, and then try closing it. It should reverse when a button is manually pushed, or the sensors will detect an object and the door will stop. If you’re unsure or nervous about how your door is functioning, always call a professional. 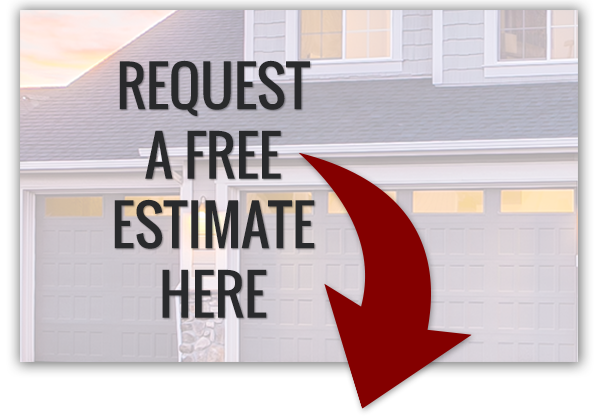 If you’re in the Northwest Arkansas area, please give us a call for any garage door related services. And, always remember preventative maintenance is key for a lasting garage door and all around safety.